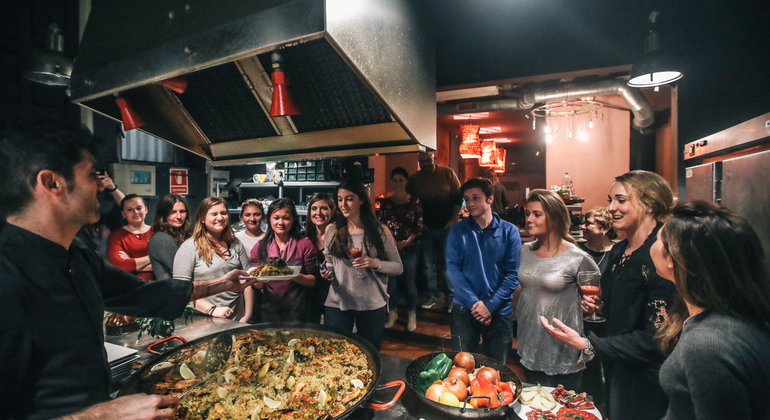 Join us on our world famous Spanish Cooking Experience and observe first hand why this activity is one of our most popular activities. 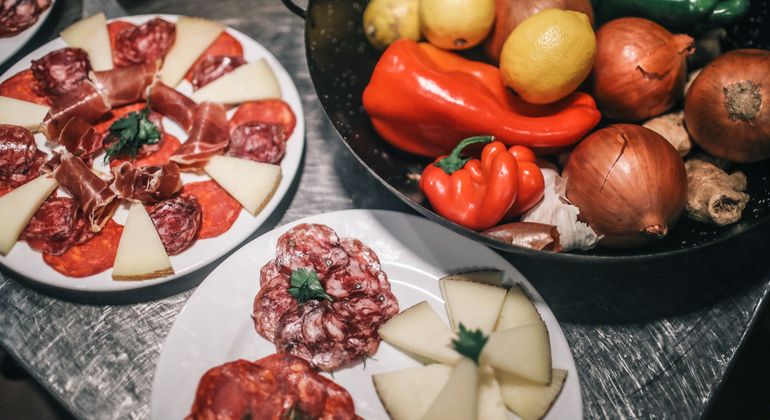 This culinary course commences every evening at 6pm at a central meeting point near La Rambla. 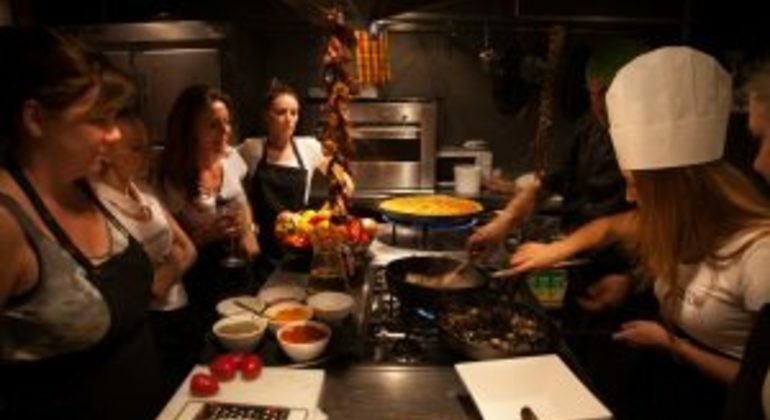 Your Spanish cooking experience will begin with your chef taking you on a tour of La Boqueria Market. 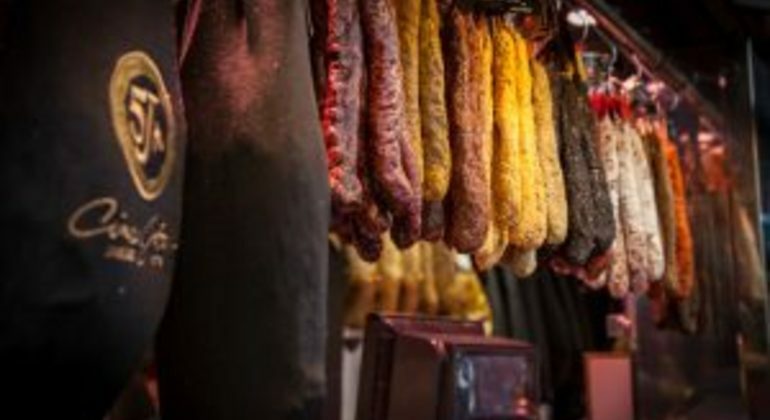 Whilst in this bustling atmosphere, he will collect and explain the different seafood ingredients needed for the Paella and will introduce you to the many delights this market has to offer. 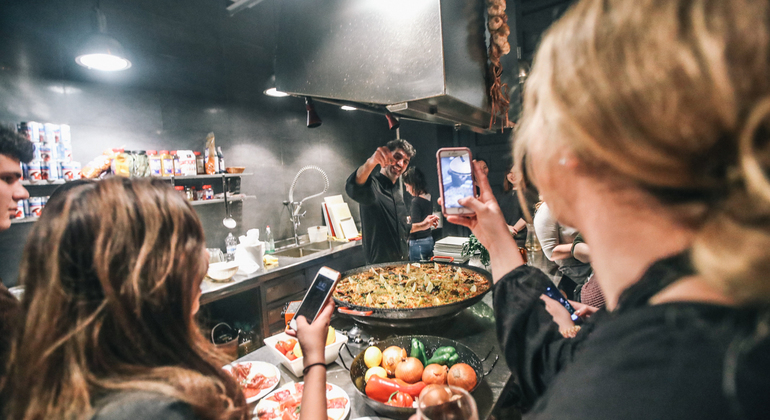 After the market, your chef will lead you to our beautiful and fully equipped cooking school, just a short walk away, in the beautiful district of EL Born. 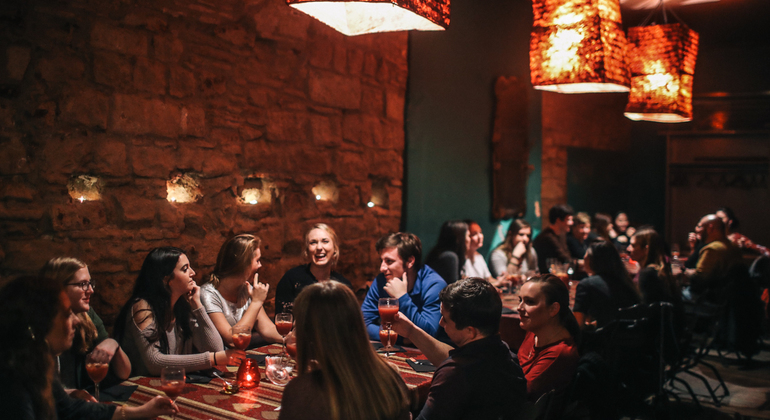 Next, it’s time to mingle with the rest of your group while you create and enjoy your very own Pintxos Españoles, accompanied with delicious sangria! 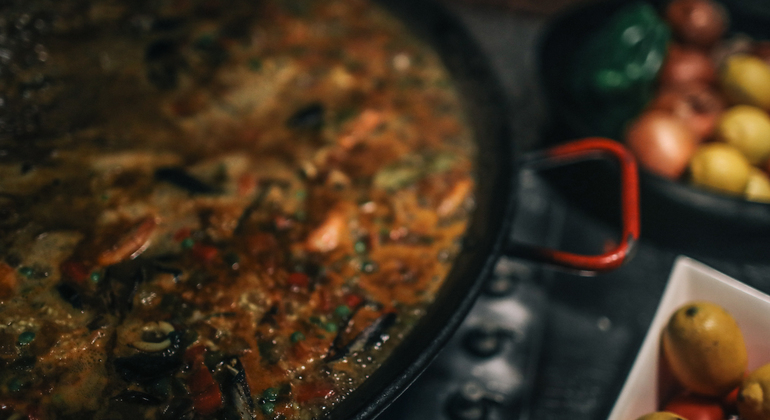 Then, under the guidance of your chef, help to prepare the many ingredients; this experience will leave you with everything you need to know in order to make the perfect Spanish Paella. 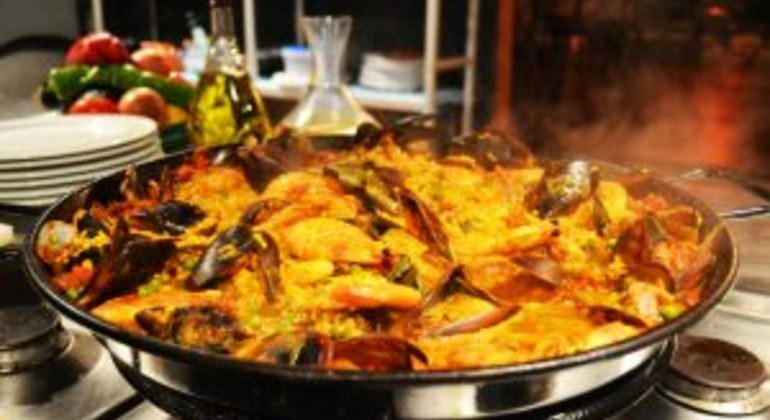 Your chef speaks English and Spanish and caters to any food allergies or special requirements. Recipes tips will be handed out at the end of your experience! Walking - Walk down La Rambla towards the ocean. Around half way down you'll see Liceu Metro. Take a left just after that along Carrer de la Boqueria and walk for 1 minute. We meet at the friendly looking Travel Bar on the left hand side! Metro - Take the green line to Liceu Metro, walk up the stairs via the Teatre exit, then look for Carrer de la Boqueria. Walk for 1 minute and we meet at Travel Bar on your left hand side!